WINONA LAKE – Grace College had a pair of athletes honored this past week in men’s golfer Jon Schram and volleyball’s Caylie Teel. Schram’s strong senior season continued when he was named the NCCAA National Player of the Week on Tuesday. 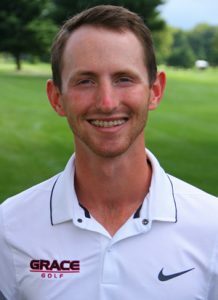 Schram, the former Warsaw Tiger, finished second out of 99 golfers at the highly challenging Kohler Collegiate Classic. He carded 73-72 to finish 1-over par at an event that featured five teams who are mentioned in the NAIA Top 25, along with NCAA Div. II Northern Michigan. The tournament was held at Whistling Straits, home to the PGA Championship three times. Schram and the Lancers are currently competing at the NCCAA National Championships in Florida. Grace is in third place after the first two rounds, just six strokes off the overall team lead. The final round will be played on Wednesday. 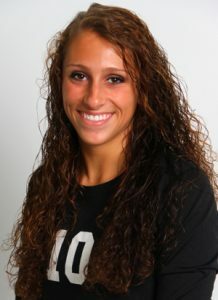 Teel, Grace’s libero, was named the Crossroads League Defender of the Week on Tuesday. Teel had a remarkable defensive week for the Lady Lancers. The sophomore from Tippecanoe Valley High School racked up 68 digs in just 10 sets. Teel’s most impressive match came in a sweep of St. Francis when she amassed 26 digs in three sets. Teel also had 28 digs in four sets against Spring Arbor, and she served at a .957 percentage for the week with three aces. The award was Teel’s second Defensive Player of the Week honor this season after winning it on Aug. 22. The Lady Lancers will have their final regular-season home match of the season on Wednesday 7 p.m. when they host Taylor.